Reliable and durable solution for almost any project, be it decorative ponds, golf courses, landfills, agriculture ponds, aquaculture, etc. 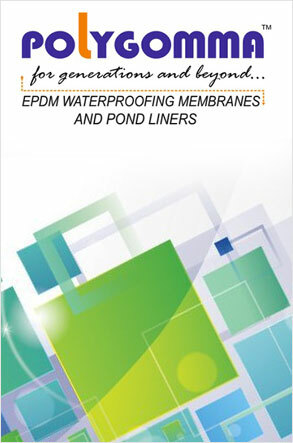 Single-Ply EPDM membranes used for waterproofing and roofing on building tops, across geographies and climates. The flat roof rubber membrane is specially designed for us on small flat roofs, mostly residential roofs. Polygomma Industries Pvt Ltd was established in 2012, to cater to the global demand of EPDM roofing membranes and pond liners. Thanks to the decades of experience of the founders in the rubber industry, rubber technology is in the DNA of Polygomma.